Inspect database lists, delete duplicates and inaccurate data items, and standardize at scale to ensure consistency and accuracy in virtually any source imaginable with list cleaning software. Surveys reveal that 88% of businesses have had problems with bad data in their email, contact and client lists. Enterprises rely on their database for their operations, and lists contribute a large part of any database. To maintain the consistency and accuracy of the database, these lists must be audited and cleaned periodically for higher operational efficiency. Erroneous and incomplete data entry by employees or customers. Lack of standardization in phone numbers, addresses, and email addresses. Merging of data from different sources. Nicknames, names with multiple accepted spellings, and abbreviations. Nearly 70% of data decays every year and results in wasted sales and marketing efforts. List Cleaning is a practice used to ensure data quality in business lists. Most commonly, list cleaning is required for email lists, contact and address lists, and client manifests. With the increasing volumes of data and the number of systems in use today, your lists degrade with every passing day and every time new data is entered. List cleaning software allows you to profile, standardize, deduplicate, and enrich your lists, whether they are stored in a database, excel sheets, CRM, or even Big Data repositories. Maintain and manage your lists easily with batch cleaning using scheduling features, or integrate list cleaning software with your systems to clean in real-time, as data is entered. Improve email deliverability and open rates, and reduce spam complaints by removing invalid email addresses and correcting errors. 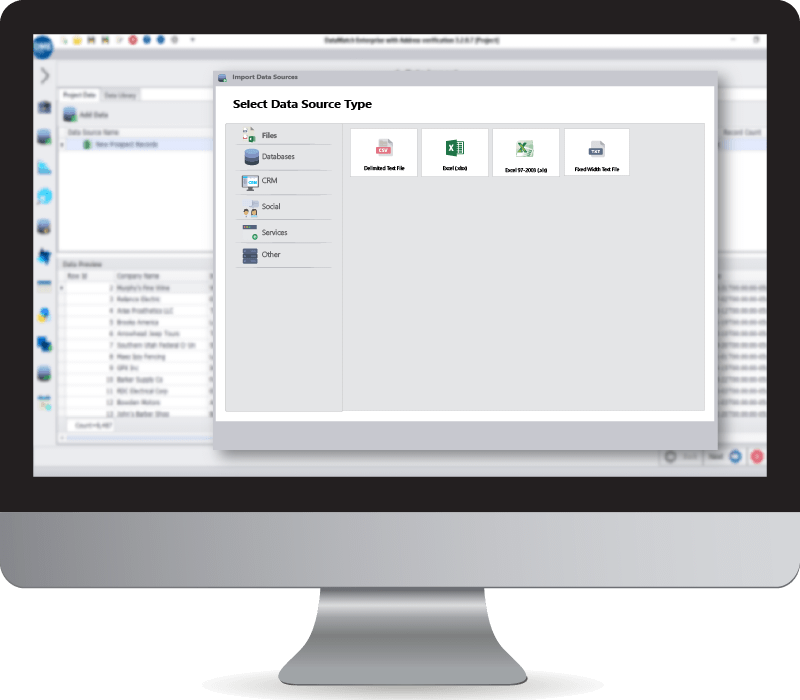 Delete duplicates, enrich customer data by linking records across the enterprise, and intelligently standardize data. Clean and standardize phone numbers, customer names, and addresses using advanced standardization and matching features. Migrate lists with confidence by increasing the accuracy of source-to-target mappings with standardized and cleansed data. Understand your data and highlight data quality issues in minutes with our Quick Profile tool to create your data quality strategy. Find and replace unwanted characters, patterns, and specific words from millions of records to automate list standardization and cleaning. Integrate our data cleansing engine using our API for real-time list cleaning with either third-party or custom-built applications. Data Ladder list cleaning software deletes incorrect and duplicate data entries in lists like email addresses, contacts, customer profiles, and client manifests. Our patented WordSmith™ functionality identifies and counts unique values in your lists and allows you to replace, delete, or extract values into new fields. 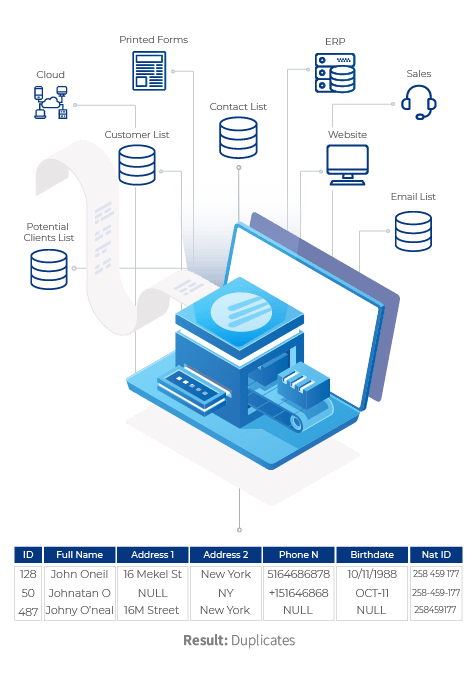 The list cleaning software is capable of handling even the most complete database architectures so you can ensure database accuracy regardless of whether your list is stored in Salesforce CRM, an Oracle database, or even legacy databases like IBM DB2. Data Ladder’s list cleaning capabilities are fully customizable. You can use preconfigured cleansing functions or you can define what you need to extract or modify. Find and replace unwanted characters, and create your own patterns using our intuitive pattern builder for standardization purposes. The list cleaning tool comes with over 300,000 standardization rules to detect nicknames, abbreviations, name variations, and much more. Other standardization features include pattern builder – especially useful for cleaning fields like phone numbers. They may be missing area codes, some will have the country code needlessly included, and some will be invalid. The pattern builder can be used to define patterns for automated extraction of just the digits you need, regardless of how the phone number was entered. The pattern builder can be used to define patterns for automated extraction of just the digits you need, regardless of how the phone number was entered. Data Ladder also helps you search across the enterprise to enrich and deduplicate your lists. Linked records are detected uses advanced fuzzy matching algorithms. So if a customer exists in your list under their real name James but also under their nickname Jim, our list cleaning software will identify the link and allow you to choose which data to survive or purge, or even put additional information in a separate field. All processing is performed in-memory, meaning your original data is not changed. Cleaned lists can be exported into a file or as a table directly into your database. Our list cleaning solution can process lists with 100 million+ records and has been rated the fastest and most accurate list cleaning software in multiple independent studies, consistently outperforming competing solutions from IBM and SAS. Whether you’re a business user or IT, experience the power of code-free, intuitive data cleansing and increase operational efficiency today.